Click arrow on icon to hear the story. A king ruled the planet-wide military dictatorship on the planet Nibiru, from which humans like us–but a few feet taller–colonized Earth. The first military dictator of Earth, Enlil, won his position drawing lots for Expedition & Rockets Commander, Goldmining Opt and Seas Boss or King of Nibiru and all Nibirans. 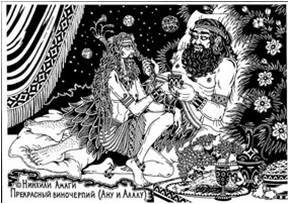 The reigning Nibiran King, Anu, held the straws, and may well have created the results of the drawing by sleigh of hand or psychic influence. This deal, some 450,000 years ago, struck by the rivals for Kingship of the planet Nibiru, permeates our unconscious as an assumption of how human relations are structured. The deal presupposes unitary planetary rule. The deal was an attempt (after Alalu had killed King Lahma) Alalu made to take turns sharing power. But it led to the later conflicts Alalu and Anu, the legal successor. 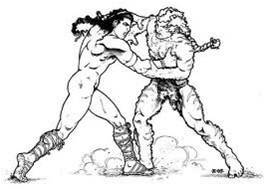 Alalu and Anu first fought over who was to rule Nibiru, then fought over which of them would rule Earth. 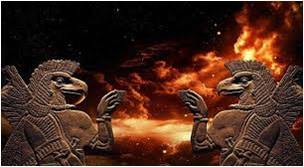 The deal Alalu and Anu struck on Nibiru evolved on Earth into war between Alalu’s kinsman Anzu and Anu’s grandson, Ninurta. The deal also fueled competition between Enki and Ninurta’s father, Enlil. 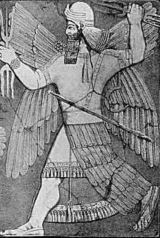 The idea that a single person should rule Earth spurred fights between Marduk, who’d been promised but later denied rule of Nibiru and Marduk’s brothers Ninurta. The deal led also to Marduk’s wars with his uncle Enlil. It led to wars between Marduk and his cousins Ninurta and Adad and his niece Inanna. 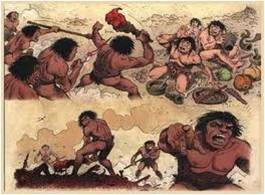 Ninurta, Adad and Inanna fought Marduk and his brothers Gibil and Nergal. Further down the line, the deal set the scene for the struggles between Marduk’s descendants Osiris, Seth and Horus, as well as a 300-year fight between Marduk and his brother Ningishzidda. We suffer the consequences of this deal today, in the wars between followers of Nannar (as Allah) and Enlil (as Yahweh). “Governors for each land he appointed; restoration and reclamation was their task.” [Enki: 25-26]. 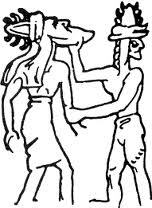 Instead of Nimah, Enki wed Damkina [Giants: 249]. 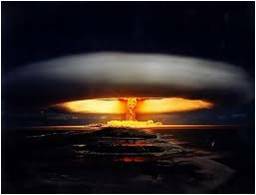 Alalu nuked to Earth, said, “ gold’s here,” threatened Nibiru. 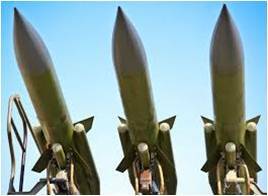 With his missile-loaded rocket he blasted for Earth and with the nuclear missiles blasted through stones of the Asteroids. He landed on marshy land near Basara, on the Persian Gulf and waded ashore. Alalu explored the marsh. In the marsh, his tester indicated gold. He also found fish aplenty, though the the water there registered as undrinkable. 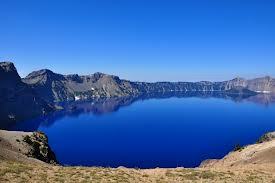 He climbed a hill, found eatable fruit and a pond of drinkable water, where he shot a snake, a creature absent from Nibiru. The abrupt fall of darkness on Earth startled the deposed king, for Nibiru’s days (rotation on its axis) were much longer. 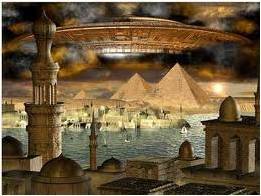 In the Gulf, he confirmed gold and targeted Nibiru with missiles. Enlil impugned Alalu’s data; he and the Council begged Anu, “Resist Alalu.” Anu had Enlil beam Alalu back, “Anu, the King, to you his greetings send; of your well-being to learn he is pleased. So Anu sent son Enki to Earth to mollify Alalu. 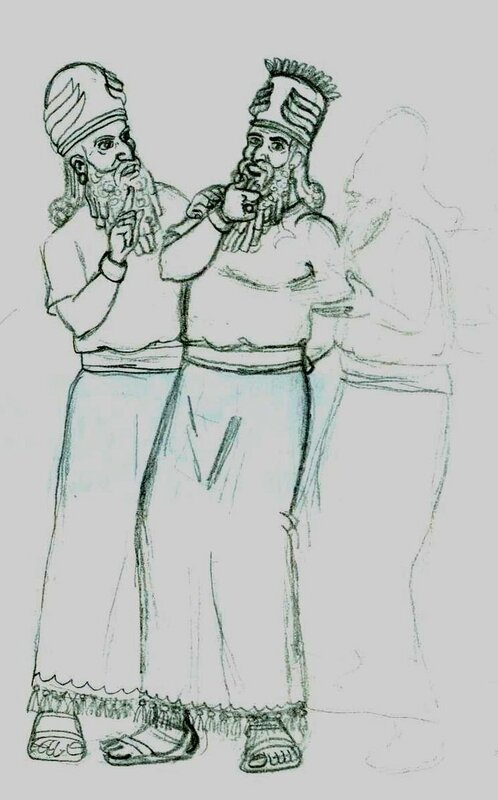 Enki could mediate between Anu and Alalu, since Alalu was Enki’s father-in-law. Enki had at the same time he volunteered to take charge on Earth, pre-empted the heroic job half-brother Enlil coveted. But Anu had spoken, and his word was law. Enlil seethed while Enki and Anzu rocketed for Earth. 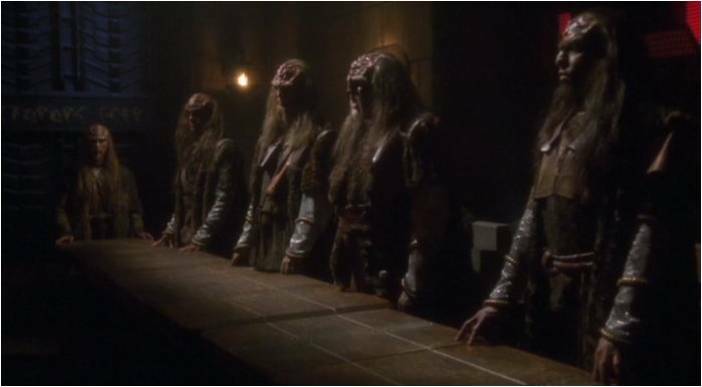 To Earth with Enki, Anu also sent Alalu’s grandson, pilot Anzu (an astro-navigation expert), and fifty men. 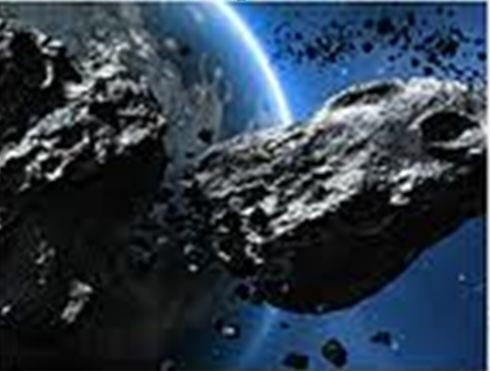 Enki blasted rocks in the asteroid belt with a water canon, fed with water he took from his ship’s engine cooling system. Enki and Anzu landed on Mars which had water and an air too. Enki built houses at Eridu, the head of the Persian Gulf, near modern Basara. 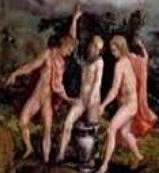 The days of Earth’s creation in Genesis is but a cosmicized version of a group of 51 fully-human goldmining prospectors from the Nibiru as they set up camp six days, then rested on the seventh. They hid them in a cave in the African Great Lakes area. Only Enki & Pilot ABGAL knew cave’s locale. 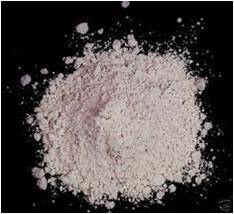 On Nibiru, scientists processed the sample gold into “the finest dust, to skyward launch it was hauled away. A shar [one orbit of Nibiru around the Sun, 3,600 Earth years] did the fashioning last, a shar did the testing continue. With rockets was the dust heavenward carried, by crystals’ beams was it dispersed. 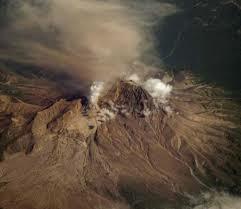 Enlil rocketed to Earth. He felt empowered, as Anu’s heir, to take charge of the expedition if Earth had enough gold. 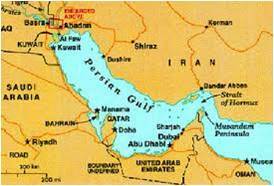 He landed in the Persian Gulf, inspected Enki’s data and retested his samples. When he’d finished his review, Enlil beamed back to Nibiru that, despite initial doubts, Earth had gold enough to save Nibiru’s atmosphere. So, 416,000 years ago, Anu rocketed to Earth to create chain-of-command & deal with Alalu’s threats. ”The Edin [Sumer] to Enlil was allotted, to be Lord of Command, more settlements to establish, of the skyships and their heros charge to take. Of all the lands until they the bar of the seas encounter, the leader to be.” Enlil, “Lord of Command” extended King Anu’s military dictatorship to Earth. 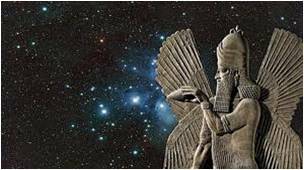 Enlil, who preceded Enki as Anu’s successor on Nibiru, now ruled Enki on Earth too. Princess Ninmah, aboard a rocket from Nibiru bound for Earth via Mars, listened intently to the comm disk from Enki. “Your mission, Ninmah, is to lead the party that will descend to Mars. Alalu will more than likely be dead. “Anzu may be hurt or sick if he is still alive. Your skills will come in handy. Honor their names and the deeds they have done, especially Alalu. We are here, have accomplished much and survive because of him. Create a monument, a marking of the place where Alalu drew his last breath, left his mortal form. Make the monument large enough for all to see and find so we can commemorate his life. There will come a time when I shall return to Lahmu and will find the monument you create so I might pay my father-by-marriage proper homage. And on that day, be assured dear sister, that I shall weep for I grew to love Alalu and respected him fully as the father of Damkina, the woman I have grown to love. Great article,I must look farther into this history.